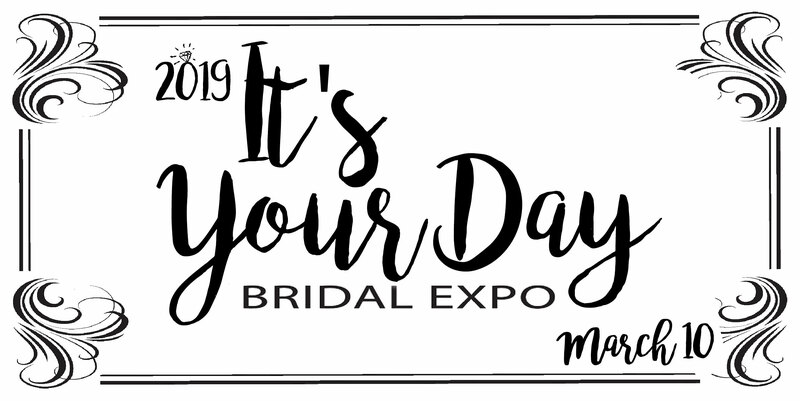 It’s Your Day Bridal Expo 2019- All details included! 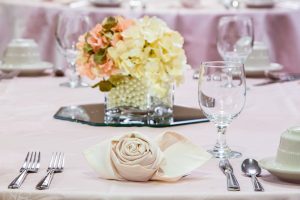 A wonderful reason to smile, dress up and celebrate, wedding season always fills the air with love, happiness and reunion…but what people forget about is how stressful planning and carrying out a wedding can be. Each soon-to-be bride and groom have their own vision of their special day and everything they’ll need to make it happen. Purchase your ticket for $10. *Purchase your ticket by March 9 and be automatically entered in a drawing to win an Overnight Package Prize in addition to the Grand Prize ($2000 value). Congratulations on your engagement! Everything is moving so quickly so don’t let that overwhelming feeling take over you because we are here to help. Talk of wedding expos have come up already, hasn’t it? There is no better way to scope out the best prospective wedding services, latest bridal trends and all the inspiration you’ll need to make your dream wedding happen than to attend a bridal expo! There will be a large variety of exhibitors including florists, photographers, jewelers, event planners and decorators, formal wear, entertainment and transportation. See our current list of exhibitors below. 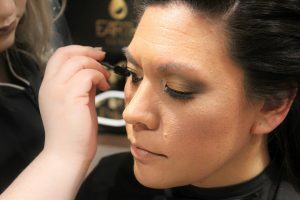 And of course our very own Drift Spa will be there to talk about their full list of bridal services and show you an airbrush makeup demonstration. 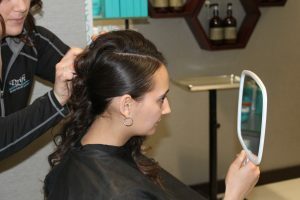 These bridal services list consists of airbrush makeup, bridal hair, nails, treatments and even private bridal consultation and planning with a 12-Month Calendar for the bride to schedule beauty and wellness meetings with the stylist team! This will include a bridal service every month like skin analysis to see what pre-wedding facials can be best for you, color matching for makeup, a massage and special prices just for you. Drift Spa offers flexible packages to ease the pre-wedding stress and provide a radiant, photo-ready glow for the couple and their attendants before the special day. The bride and the groom-to-be or the entire wedding party can indulge in a customized spa experience to revive the body and soul before the unforgettable wedding day. From massages to bridal make up, from facials to fabulous body treatments, eyelash enhancements and manicures we lavish our brides-to-be from head to toe. Accommodations can be made for large or small groups; from spa packages to the Bride getting ready for her big day. We also specialize in making the Groom look and feel his best for his beautiful Bride, whether it be grooming his nails or just relaxing him for an amazing day. Let us help you make your Bridal Spa Party beautiful and perfect at Island Resort and Casino’s Drift Spa. Island Convention Center will also be there, to bring you the finest venue that can seat up to 600 people, décor including a variety of colored linens of different fabrics, center pieces to match the color scheme, lighting to set the mood and decorated entryways, AV setup and entertainment to browse and bring your vision to life with hands-on consultation for the design process. Island Convention Center also provides full-service catering with your choice of buffet or menu and will be featuring samples at the Expo! Lets not forget The Bakery will also be showcasing their creativity and skills an array of wedding cake flavors to present the potential that can unfold behind the scenes. That’s not all though, we are putting together a runway stage to feature a Runway Showcase where you can see the industry’s top styles in action again for this year! We will also be having plenty of door prizes, prizes from vendors and a Grand Prize valued over $2000 from the Island. And remember, with a purchase of advance tickets you are automatically entered in a Prize Package giveaway of over $500 in value in addition to the Grand Prize. Yup, that’s right! You could win a prize package for It’s Your Day at the Island consisting of a spa package for two, your choice of food & beverage for two and one night stay. Bring your bridal party, fiance, mother, mother-in-law, whoever and we’ll see you there. It’s Your Day Bridal Expo will take place at the Island Convention Center on March 10, 2019 at 11 AM – 2 PM EST. Can I sign up to be a vendor? We are no longer accepting requests for vendors. If you are interested in next year’s event, please send us a message via Facebook or through our contact system online with your contact and vending service information to be considered for an invitation to vend as we have limited spots available. Island Resort & Casino – Dana.